If you’re searching for a top-rated gun safe, but you are not willing to spend a fortune, then this article may be useful for you. Below, you can read about the best units under the one hundred dollar mark. Therefore, if you are on a budget, you should be able to find something that matches your demands, without sacrificing quality and security. It can be hard to find a high end gun safe, for less than $100, but you can be assured that all the brands listed below are only first class gun safes that are known to deliver superior security and comfort. Therefore, after reading the article, you’ll be in a great position to make an informed decision and buy the model that fits your needs and demands. 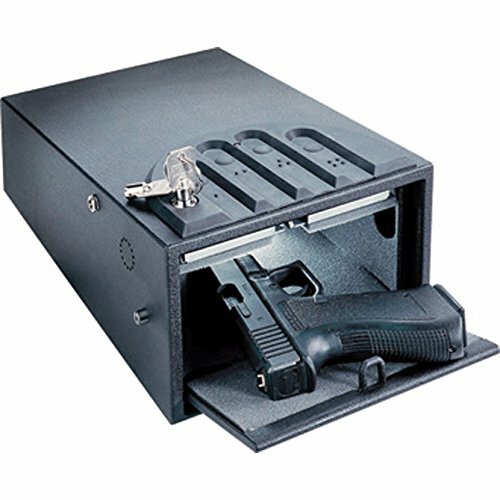 Everything that you need to know about budget friendly gun safes is listed below. That way, spending less than hundred dollars on a gun safe, knowing you will receive something that matches your requirements, makes the selection process an enjoyable experience. Although it goes without saying that you get what you pay for, the information in this guide will inform you exactly what you should expect from a budget gun safe. 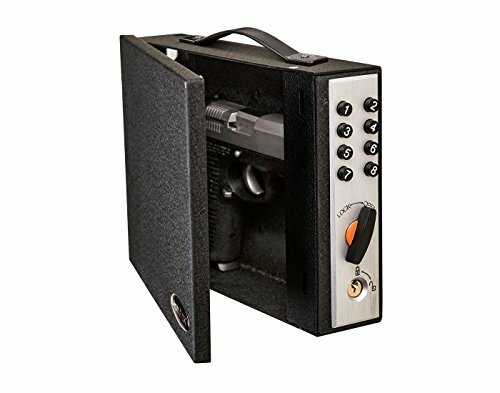 2 Do you Need a Gun Safe Under $100? Our number one pick is the fantastic Sentry Safe Quick-Access model that features a sturdy 12-gauge steel body construction. This unit is much thicker than any of its competitors, and there is no gun safe on the market, at this price-point, that can offer the same protection as this Sentry model. 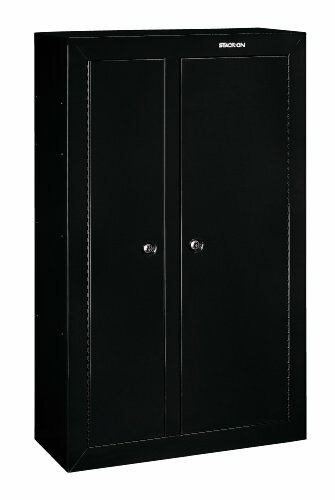 To ensure maximum safety and protection, the Sentry team built this gun safe with a heavy-duty door and sturdy built hinges to optimize pry resistance. This is an excellent solution if you need storage for your pistol and small valuable items. It comes with an electronic lock and illuminated keypad to ensure easy and convenient access, even in dark conditions. You’ll be able to program up to 4 – 6 unique combinations through the four buttons on the key-pad. Once you enter the correct code, the compression gas strut will silently give you access to the safe. Moreover, once you open the safe, you will clearly see that the interior is completely rugged to avoid any scratching to your handgun. Overall, this is a perfect compact option that provides quick and easy access to your weapon anytime you need it. It is spacious enough to store a small pistol, ammo and smaller belongings. It is very easy to mount the safe as it comes out-of-the-box with pre-drilled anchor holes. Since this is an electric locking mechanism, you need to be aware of the battery level and make sure that there is enough power to open up the safe. This unit comes with a battery indicator, so you will always know when it is time to change batteries. However, in the unlikely event that the batteries dry out, or you forget the combination, you can always access your belongings by using the override key. On top of all these great features, SentrySafe offers a 1-year warranty to make this a fair deal for everyone. Here is a compact and durable gun safe from the Bulldog Vaults stable and here we have an impressive gun safe box that opens up like a briefcase, thanks to the spring loaded door. This unit features an electronic lock for added convenience, and there is a backlit keypad that ensures that you will have quick and easy access to your belongings, even in complete darkness. You don’t have to rely too much on the electronic access, as this model also comes with two keys for emergency access. That way, if you forget your code or the electronic system fails, you will be able to access the safe with the given master keys. On top of that, you’ll be able to access the safe through a card that features the RFID technology. 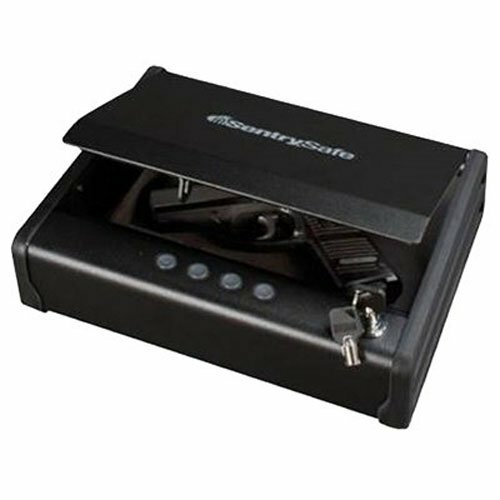 This model is extremely reliable and built from high-quality 16-gauge steel to ensure that your stuff is protected. There is enough space to hold a couple of pistols or one handgun and small valuables. Once you gain access to the safe, the interior is coated with egg-shaped foam to protect your handgun from scratches. There is also a built-in light that illuminates once you open up the safe. That way, you will clearly see what you need to reach for inside the box. There are no pre-drilled anchor holes, but there is a strong security cable included with your purchase. 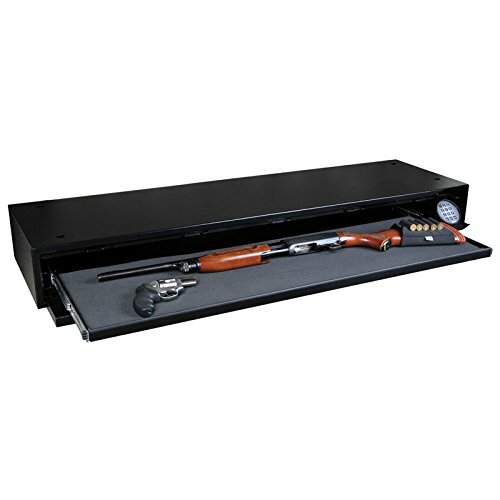 This is an excellent gun safe to store in a drawer or hidden next to the bed since the spring-loaded door opens up on the top of the safe. At last, there is a standard one year limited warranty against defects in this product. Next up is another affordable but well-built gun safe that is big enough to store multiple pistols. 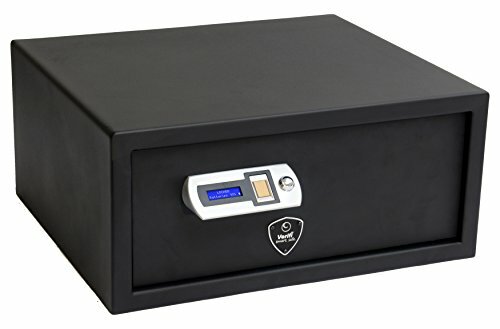 This is one of the very few gun safes, in this price range, that features both a biometric and electronic dual locking mechanism. 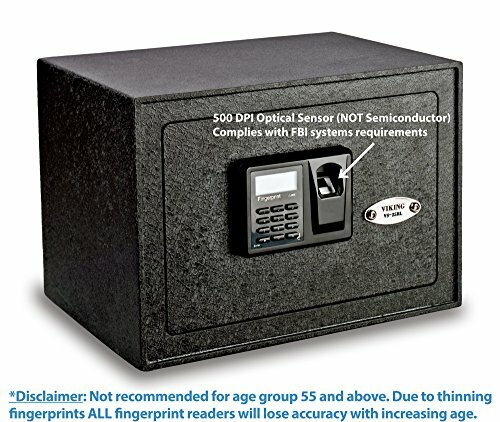 Since this is a biometric unit, you can store up to 20 unique fingerprints. Moreover, using the electronic system, you can also easily program the combination to gain quick access. If for any reason you forget the combination code, or the fingerprint scanner is not working properly, you can use the backup key for access. That way, you will never be locked out of the gun safe. This unit features a commercial grade 14 gauge steel housing construction to ensure that all your weapons and valuable items are safely locked inside. Moreover, the heavy-duty steel door and hinges feature an additional 9 gauge steel construction, making this safe one of the sturdiest and robust gun safe door on the market. For added security, the door is reinforced further by 2x durable steel locking bolts. If you want to bolt it to the floor, there are four anchor holes located inside the safe. This unit comes with a carpeted interior to protect all your valuables from scratches or damages. 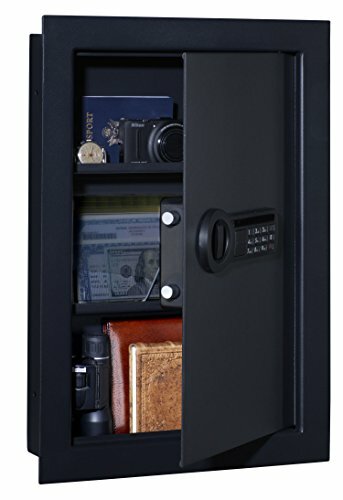 Overall, this is a brilliant, heavy-duty and reliable gun safe that includes a convenient fingerprint access for quick and easy access at all times. The digital panel is battery operated and requires four AA batteries to function. There is also a battery indicator to inform you the battery level, so you always know when you need to change the batteries. 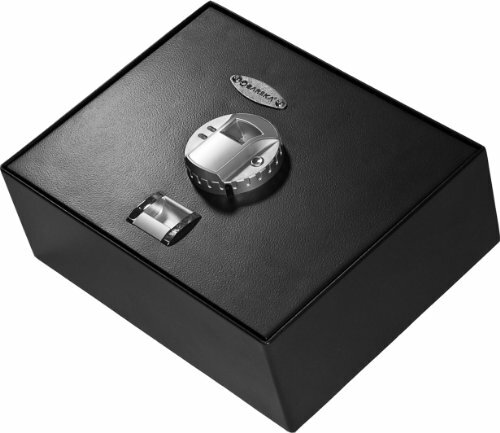 On top of that, SereneLife provides 1 year warranty on this safe. Here we have another compact and convenient option for those who are looking for a portable gun safe solution. That is to say, a gun safe that you can store in your bedroom drawer or your vehicle. Despite its portability, it is also extremely sturdy and well-built gun safe that features heavy duty 12-gauge steel construction. It ensures pry-resistance, and it comes with a sturdy steel door and industry grade hinges to ensure first class protection to your belongings. Furthermore, it features a 3-point locking system and opens up from the top, not in front like most of the safes on the market. Since this unit was designed as a portable gun safe, the storage space inside is limited to 1 handgun along with ammo and small valuable items. The interior is covered with foam to protect your weapons and belongings from scratches. Additionally, there is a handy “briefcase” handle that makes this one of the most portable gun safe on the market. If you want to boost the security even more, there is a durable steel cable that you can use to store the box to a sturdy target. Since there is no electronic locking mechanism or biometric system involved in this gun safe, you cannot expect the same quick access to your guns because you need to use a key to unlock this unit. 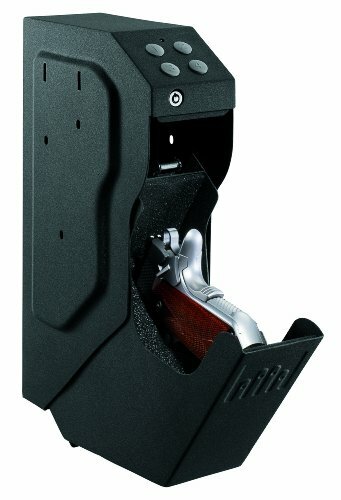 However, this is a reliable and sturdy bedroom or vehicle solution, and you will have quick access to your pistols. Overall, this is a sturdy steel construction that features a pry-resistant top-lid design, and the interior is covered with foam to protect your belongings. Next up is our biggest safe in our budget-friendly countdown and this is the PS-1508 from the reputable Stack-On stable. This model offers plenty of space for your handguns along with bulkier electronics, such as laptops and iPads. If you are in the market, looking for a safe to store your handguns and bigger valuables, then this could be your solution. 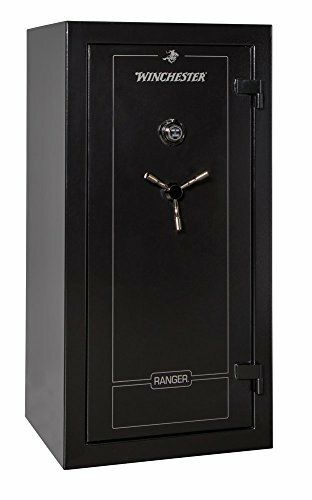 This safe boosts a 16-gauge steel construction and features two steel locking bolts that you operate through a knob. 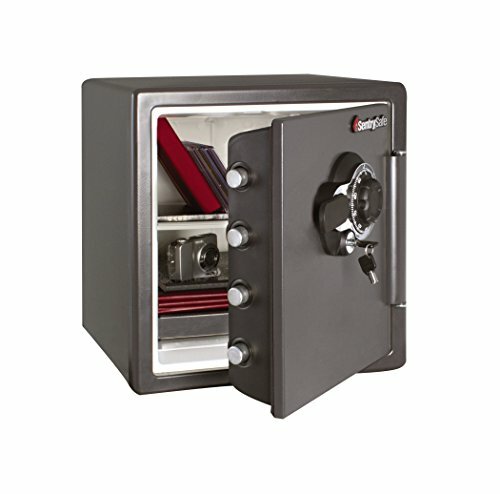 It is a pry-resistant safe with heavy-duty concealed hinges for added safety. 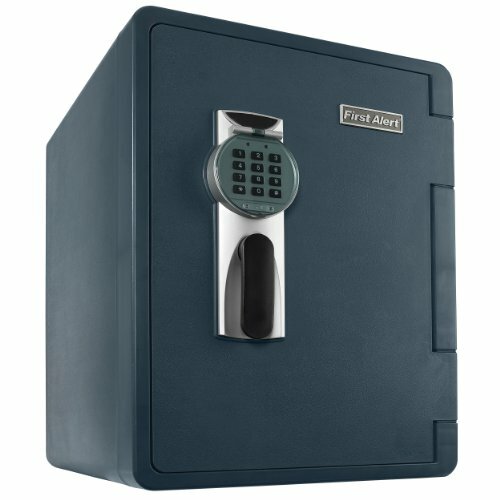 To gain quick access is very easy and you can set your unique digital code from 3 to 8 digits, to unlock the safe. If anyone enters the wrong code three times, the safe goes into sleep mode, and no further attempts are allowed for few minutes. The same will happens if anyone tries to tamper with the locking mechanism, the safe goes directly into sleep mode. You can choose between a silent access or an audible access. In other words, there is a beep sound for every code you enter, but you can set it to silent if you prefer silent access. You don’t have to worry about not being able to access the safe, even if the batteries dry out or the electric lock does not work properly, because there is a battery indicator that alerts you if you need to change the batteries. For added security, there are 4 pre-drilled anchor holes that allow you to bolt the safe down to the floor or wall. Stack-On offers an industry leading warranty of 3 years to make this a hassle-free purchase for you. Do you Need a Gun Safe Under $100? If you own a handgun, then the short answer is yes. Gun safes are designed to keep your guns safely locked away, and they come in all kinds of shapes and designs. To measure the level of protection that a gun safe can provide, it is important to analyze the amount of steel it features and the security functions. It is also important for you to understand your needs as well because you may be looking for a gun safe to hide your gun from thieves, or you might be looking for a safe storage solution for your valuable items. Either way, you will need to set your budget, investigate the steel construction and check all the security features of your desired gun safe. It goes without saying that a budget friendly and portable gun safe does not offer the same protection as a sophisticated unit that cost over 500 dollars. Therefore, if you are looking for a burglar-free solution, you should invest in more expensive unit with more security features. However, with a unit at this price tag, under 100 dollars, you can safely secure your weapons from children and other unauthorized individuals. 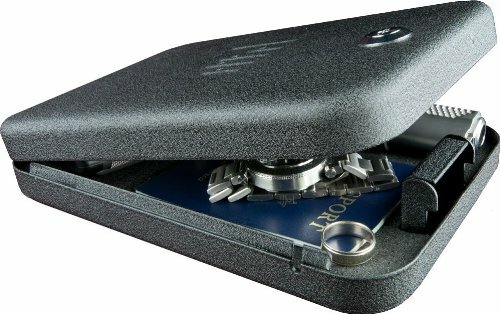 Gun safes under 100 dollars are much more compact than the more expensive units. Therefore, you will be able to store 1-2 pistols, along with smaller valuable items in a gun safe at this price point. These budget-friendly safes offer quick and easy access to your guns, any time you need. The first thing that you should check is the thickness of the steel because, with thicker steel, you get more protection. 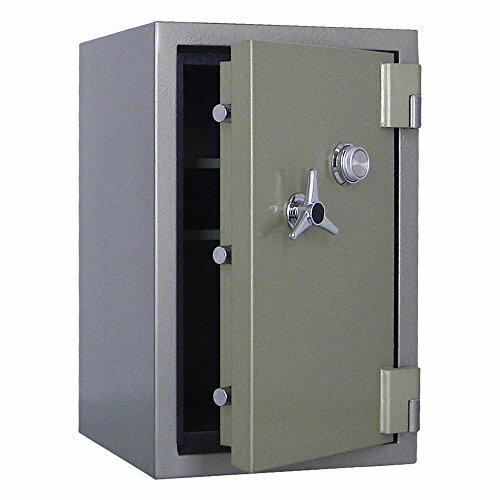 For gun safes under the 100 dollar mark, you can expect around 12-20 gauge steel thickness. Just remember the rule of thumb regarding steel thickness that states that the lower the gauge value is, the thicker the steel is. Although there is no gun safe on the market that is 100% burglar proof, a 20 gauge-steel constructed gun safe will turn out to be a real headache, even for the well-prepared burglar with all the right tools. Apart from steel thickness, there are other security measures that you should look into as well. For example, the lock system plays an important role in this case because a burglar will most likely try to gain access by tampering with the locking mechanism, rather than trying to break through the steel construction. Having said that, you need to check the steel housing and the lock mechanism to determine if your desired model is safe enough to match your demands. As we did mention here above, it can be quite a task to find the best gun safe under 100 dollars that match all your requirements. The reason is that there are so many units on the market with different prices that it can be extremely hard to pick the one that suits your demands. Also, many of the gun safes on the market are poorly constructed, and therefore, it is important that you compare and do your own research before you fork out your hard earned money for an safe. A cheap-end unit will go a long way to protect your gun from unauthorized individuals. Having said that, it is important that you invest more money in a safe if you are looking to protect your firearm from thieves. However, there are excellent options in the “under 100 dollars” market if you are looking for a sophisticated solution to store your pistols and have quick access to them in an emergency. For example, the SereneLife and Stack-On models that we mentioned above are ideal budget-friendly solutions to protect your weapons against determined burglars. In summary, you should have all the information you need now to make up your mind between the top-rated gun safes under 100 dollars. You will be able to understand steel thickness, security features and warranty for all the gun safes mentioned above. Therefore, you can easily narrow your list down to your number one pick. Securing your weapon is not only about storing it safely in a gun safe, it’s also about having quick access to your weapon to defend your family in an emergency situation.